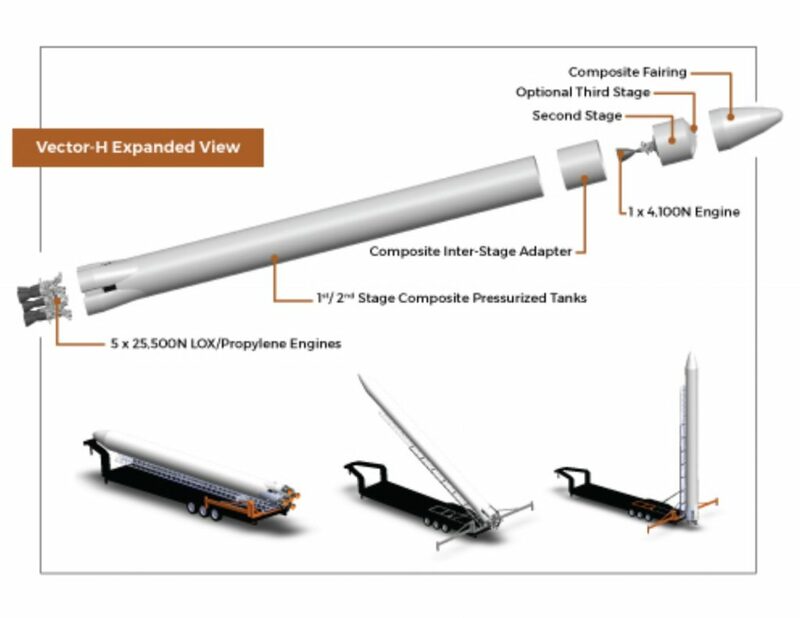 October 17, 2016 – Vector Space Systems, a micro satellite space launch company comprised of new-space industry veterans from SpaceX, Virgin Galactic, McDonnell Douglas and Sea Launch, today finalized an agreement with York Space Systems, a Denver aerospace company specializing in small and medium class spacecraft, to conduct six satellite launches from 2019 through 2022 with the option for 14 additional launches. The first launch through the agreement will also be the inaugural launch of the Vector-H vehicle, which is capable of launching 100 kg into orbit, and will provide an integrated spacecraft to customers through a standardized platform. York Space Systems will use the launches with Vector Space Systems to place their standardized S-Class satellite platform into orbit for commercial and government customers. York Space Systems’ satellites will also employ the unique Electric Upper Stage which uses Vector Space Systems’ propriety electric propulsion technology as the final insertion stage of the Vector-H to place the satellites into orbital altitudes up to 1000 km with zero loss of launch throw mass capability. York Space Systems currently focuses on small and medium spacecraft supporting a wide range of missions, including visible Earth Observation (EO), Infrared EO, Multispectral EO, Synthetic Aperture Radar EO, asset tracking, weather, communications, signals intelligence, and robotic servicing. The S-Class platform leverages a proprietary design to reduce the cost of manufacture by an order of magnitude, and will see first flight qualification Q3 2017. The platform design can utilize existing ride-share opportunities, and is simultaneously being designed for compatibility with dedicated small launch vehicles, such as the Vector-H. With an inventoried approach, York offers next day delivery supporting the rapid mission program timelines enabled by Vector.